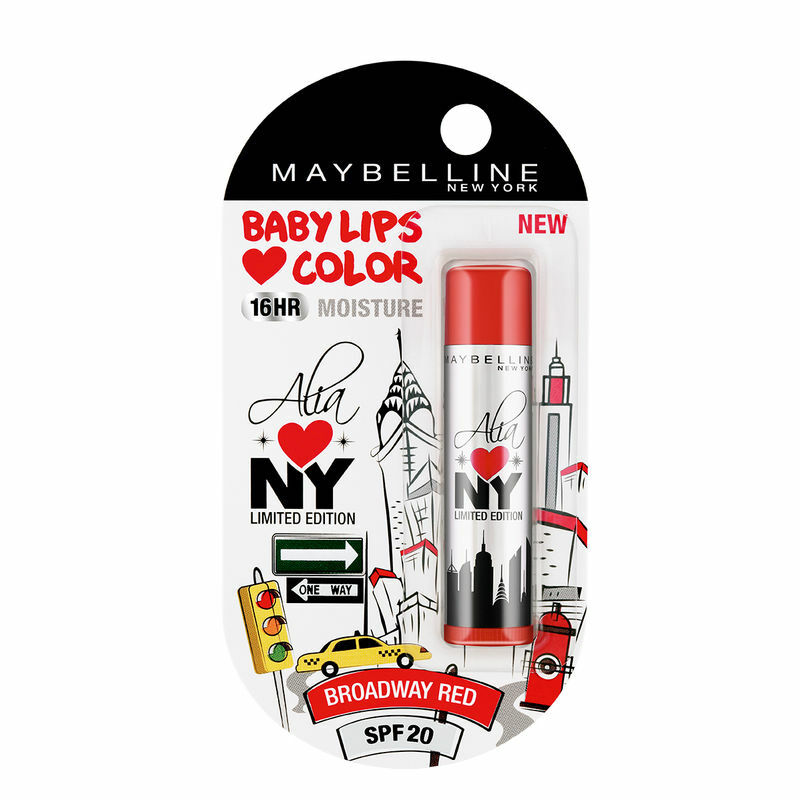 Alia brings you the best of the city she loves.1st Limited edition collection of Maybelline New York Baby Lips , curated by Alia Bhatt in a trendy, limited edition pack inspired by edgy New York styled graffiti. 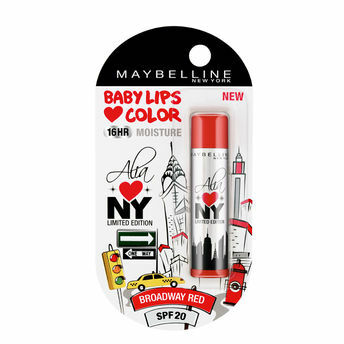 4 vibrant tints that gives you a flavor of the city's energy and glam quotient. Infused with SPF20 and enriched with Vitamin E and coconut oil provides 16 hours of continuous moisture, care and repair.